Diana Elston | Jones, Skelton & Hochuli, P.L.C. Diana Elston represents client in the areas of general civil litigation and insurance defense, personal injury, premises liability, homeowners association defense, and tribal law. Diana is admitted to five Tribal Courts in Arizona and handles a wide variety of issues for Indian tribes throughout the Southwest. 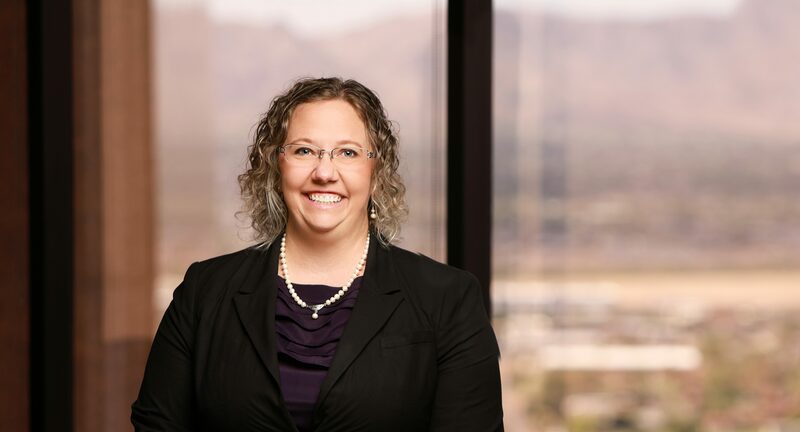 Her tribal defense practice includes representing tribes and their enterprises (including casinos) in premises liability, conservatorships, and wrongful death and personal injury claims. Before joining the firm, Ms. Elston spent three years in Flagstaff, practicing general civil litigation and bankruptcy. Since returning to the Phoenix area, Ms. Elston has remained an active alumna of Alpha Omicron Pi, serving as their chapter adviser at Northern Arizona University. A native Phoenician, Diana was raised in Tempe and taught elementary music in the area for two years before pursuing her law degree. While in law school, she interned at the Superior Court of California, the California Attorney General’s Office, and served as a judicial extern for the Honorable Ruben B. Brooks at the United States District Court. After law school, Diana lived in Tucson while clerking for the Honorable Judge Pelander at the Arizona Court of Appeals.